The New England general store was as much a community institution as the church or town hall. Familes relied on the store not only for all their commercial needs but also for many of their social ones as well. It was at the corner store that they picked up their mail, exchanged the latest gossip and haggled over a few items from jumbled diversity of the storekeeper's stock. Jabez Corner carries on this tradition as an on-line community resource. 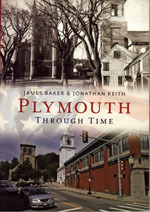 We will offer a selection of informative Web essays and exhibits, from Vanished Plymouth, which contains pictures of the town's past that we did not discover in time to include in o ur two Arcadia Press Images of America titles, Plymouth (2002) and Plymouth Labor and Leisure (2005) to the history of the Bahamas. You might also like to consider my new guide to Plymouth, Massachusetts (the first in many years to go beyond the simplest of detail), A Guide to Historic Plymouth, published by the History Press (2008). There is now yet another illustrated Plymouth book that photographer Jonathan Keith and I collaborated on, in which then and now views of the town's changing landscape can be compared: Plymouth Through Time (2013). Come on in, look around and sit a spell. You may find something you like. To begin, there is a brief introduction to the Corner and Jane C. Baker's The Little Town, which contains memories of Jabez Corner a century ago. If you are interested in the natural history of Plymouth, Mrs. Catherine Hedge's Wildflowers of Plymouth (1904) provides a thorough botanical survey of the town. On the Miscellaneous Shelf , you will find an assortment of articles about Plymouth and her later, post-Pilgrim history . 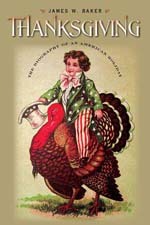 From the University of New Hampshire Press, Thanksgiving: The Biography of an American Holiday presents the true history of this beloved American holiday, with never-before described details that puts the record straight about its centuries-long evolution—and puts to rest the question of the "First Thanksgiving"! 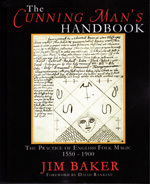 Another book on quite a different subjec t has just been published by Avalonia in England: The Cunning Man's Handbook — my study of the folk magic of England & America between 1550 and 1800. 555 pages of analysis and long examples (in rather small print) of what the historical "white witches" actually were up to, as opposed to the myths that surround the subject. An area of the world beyond old Jabez Corner that we are very fond of is Freeport, Grand Bahama. Now if Plymouth, Massachusetts has produced far more history than can be consumed locally and has long been obliged to export large quantities of the stuff, Freeport is quite the reverse. There history is very thin on the ground. I have gathered what I could find of that rare commodity, Grand Bahamian history, and made it available at Bahamian Fragments.